Do you feel as though your lack of formal training will hinder you from landing the internship of your dreams? Don’t let that stop you from trying to get ahead in your career. The beauty of an internship is to help equip you with the experience you need to succeed. Designed to give you the much needed experience you need in the field, an internship doesn’t require that you have formal training. When looking for an intern, companies want to see who you are and what kind of drive you have to reach your goals. Here are some key points that will help you write the perfect internship resume. Employers want to see courses that you have taken that relate to the internship position as well as any relevant professional experience. Any projects that you have completed within relevant courses should be documented. Group projects are essentially important as this shows the employer that you can be a team player. There is a big chance that you will be applying what you have learned in the classroom at some point during your internship. Be open about what knowledge you have gained through your schooling and previous work experience. This can allow you a time to shine and apply what you know at your internship. Let the company know any software training you may have gained as well. Any computer skills you can bring to the table will always be a plus. Even if you have never worked in the field before, you can transfer any work skills or experience that you have generated. Use action words to highlight your experiences at previous jobs no matter how small. A waitress can use phrases like “maintained a personal bank,” “provided exceptional customer service,” and “organized multiple orders at any given time.” These words will stand out show the employer what you are capable of. As long as the employer can see your work ethic through your words, you are on the right track. Also note any non-work related skills, like computer skills, language skills, etc. Have you participated in any related extracurricular activities? Have you held a leadership position in non related activities? It is important to show the employer any related clubs or groups that may lead you closer to landing the internship. Even if you haven’t participated in related activities, a leadership role in non related activities could be just as important. If you have been a coach or acted as a team lead, make the company aware that you can take charge if need be. Employers like to see young people with tenacity and who aren’t afraid to be themselves and bring something new to the table. It’s a great thing when you have established professionals willing to put their name on the line to back you up. Meet with former employers or teachers that have worked closely with you in the past to write a letter of recommendation for you. Words of praise from a respected source is highly esteemed and may be the exact tool to help you achieve the internship you desire. 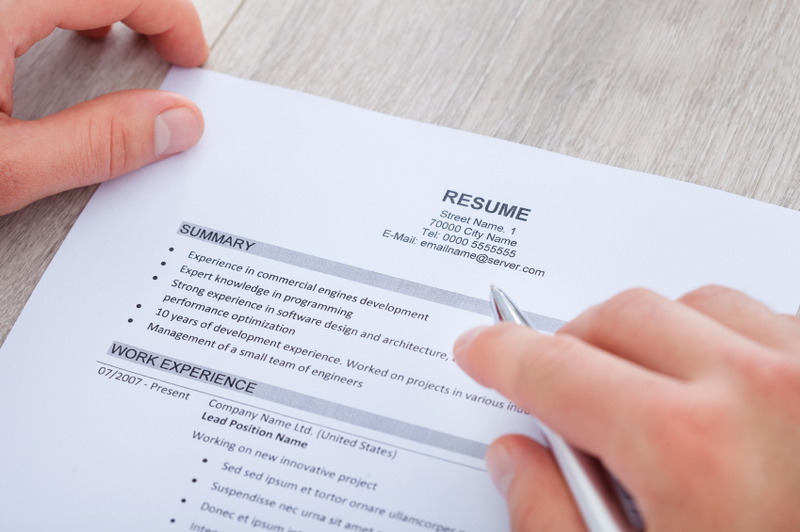 Last but not least, keep the format of your resume simple and clear. Stick to just 1 or 2 fonts, use bullet points, and call out headings with bold text. Realistically, employers usually only spend 1-2 minutes reviewing your resume, so you want to make sure it is easy to read and your main points, skills, achievements, and job-fit are clearly visible. Do you think you are ready to submit your internship resume? If you are in the Rhode Island area, visit www.bridge.jobs to find the perfect internship for you.